Love Jimmy Buffett? Head to Margaritaville! Lovin’ you some Jimmy Buffett? Have we got the deal for you! 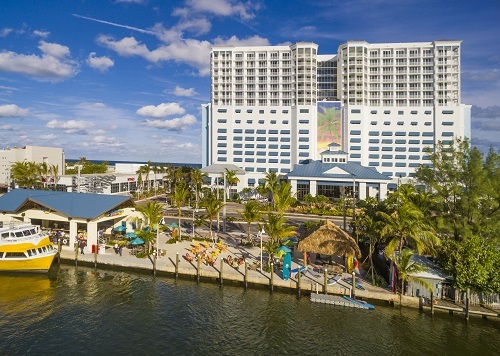 Margaritaville Hollywood Beach Resort is a 17-story, 349-room destination resort and entertainment complex offering an authentic, “no worries” tropical vibe inspired by the lyrics and lifestyle of your fave Jimmy Buffett. 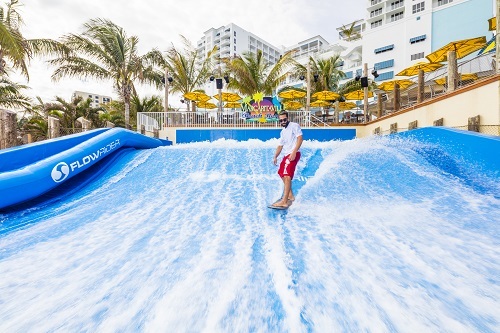 Escape the everyday and just chill at their numerous on-site restaurants, a full-service spa with eleven treatment rooms, a state-of-the-art oceanfront fitness center, an array of shopping outlets, multiple pools, a FlowRider® Double surf machine and three live entertainment venues. Kind of seems like they have everything! Private Island? Yep, That’s on my Bucket List! Secluded and serene, Coco Privé Kuda Hithi Island is one of the world’s most exclusive private island escapes—and it’s definitely on my Bucket List! 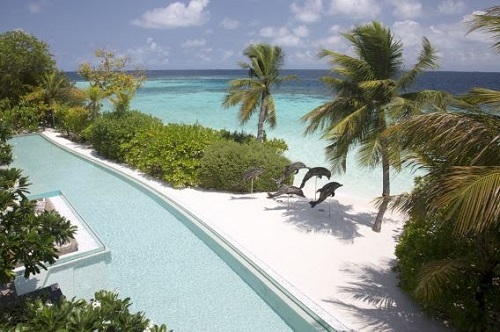 There is nowhere in the Maldives, or anywhere else, quite like it. The entire tropical island is available just for you, your family and friends. It’s your very own piece of paradise for you to enjoy—in absolute privacy. And with a team of 30 staff to look after your every need, your stay at Coco Privé will exceed your highest expectations. No request is too small or too extravagant. 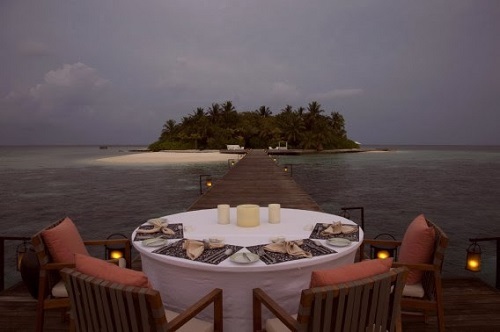 —Exclusive use of the entire private island. —A dedicated team of 30 staff on the island. —All meals and snacks personally prepared by your private chef. —Selection of unlimited beverages, including alcohol, from your cocktail bar. —Unlimited spa treatments by your personal therapist. —Unlimited diving experiences for certified divers and the use of diving equipment and facilities. 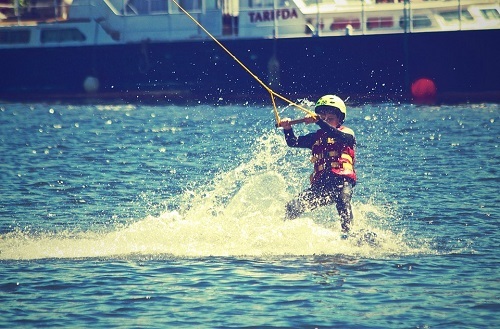 —Non-motorized water sports experiences such as canoeing, catamaran sailing, windsurfing and more. And just when you thought it couldn’t get any better… As a gift from Coco Privé, guests will be whisked away on a luxury yacht to witness the spectacular Maldivian sunset on an evening of their choice. Cruise over the blue waters with a glass of champagne while watching the sun sink below the endless horizon. This season, Coco Privé is delighted to extend a special rate of $40,000 per night for exclusive island hire for 10 guests (minimum stay 5 nights). Click here to take advantage of these rates through the end of 2016! Want to experience an authentic L?‘au? Now you can! If you haven’t visited Aulani, A Disney Resort & Spa, now’s the time! Beginning next month, you’ll be able to enjoy an exhilarating and enchanting cultural journey celebrating the legends, people and natural wonders of Hawai’i during KA WA‘A – A Lū‘au at Aulani, A Disney Resort & Spa. It’s an unforgettable evening of family entertainment as only Disney can offer. Get ready for a full evening of song, dance and storytelling as you enjoy a lavish Hawaiian feast. The experience starts off with activities like kapa printing, flower arranging and temporary kakau tattoos or pa‘i ai taro pounding followed by a Lū‘au introduction and oli (chant) welcome. After that, enjoy some wonderful buffet dining, including a carving station with suckling pig and prime rib, fresh local seafood, authentic island fare and enticing Asian specialties plus family-friendly offerings, kids’ selections and a decadent dessert bar. Then finish up the evening with a Lū‘au performance—an enchanting, often breathtaking production that brings the legends and lore of ancient Hawai’i to life. For more info, head to aulani.com! Featuring an eclectic schedule of festivals and events this fall/winter travel season, Trinidad & Tobago welcomes you to discover the southernmost Caribbean islands. With hotels on the dual-island nation offering steep discounts up to 50% off room rates and direct flights from gateway cities like Miami, Ft. Lauderdale, New York, Orlando and Houston, now is the time to plan travel to the culturally vibrant destination! Tobago’s distinctive ‘blue food’ cuisine is celebrated at the Blue Food Festival, a culinary showcase featuring dasheen, the Caribbean root vegetable that actually turns blue when cooked. Considered one of the most unique food expositions in the region, the annual festival brings together creative, indigenous chefs to share their knowledge, cooking secrets and tasty blue creations with this commonly-used local ingredient. Guests are treated to cooking demonstrations, competitions, samples of the chefs’ creations and entertainment by popular local performers. In Trinidad & Tobago, where the population is approximately 40 percent Indian, Diwali—the Hindu Festival of lights—is celebrated by the young, old, rich and poor with colorful events and extravagant light displays. 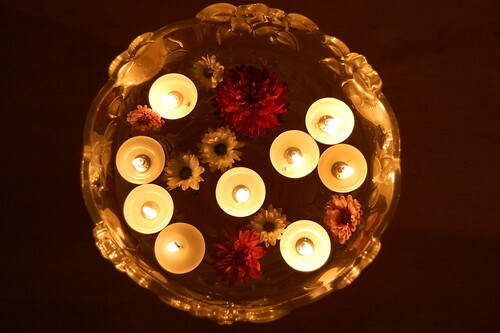 Marked as a national holiday in Trinidad & Tobago since 1966, Diwali celebrations in Trinidad begin nine days before the actual event. During those nine nights there are performances by East Indian cultural practitioners, a folk theatre, an exhibition of Hinduism, nightly worship of Mother Lakshmi (goddess of wealth), lighting of myriad deyas, and a food court of savory Indian and non-Indian vegetarian delicacies. The festival culminates with magnificent fireworks complemented by the thunder of bamboo cannons and the sparkle of “star-lights” in villages across the country. Trinidad’s national carrier, Caribbean Airlines, has launched its “Happiest Ultimate Moments” (H.U.M.) campaign, designed to create ‘positive vibes’ and deliver added value to regional and international passengers traveling between June 1 and September 30, 2016. If you take advantage of this promotion, you can enjoy special discounts at retail and entertainment merchants throughout Trinidad and other Caribbean destinations! 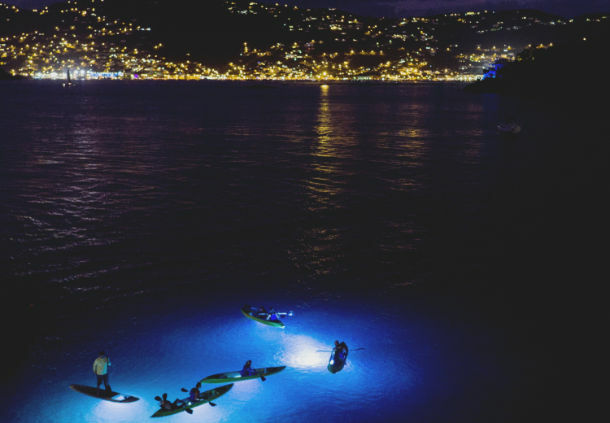 The Cropper Foundation, based in Trinidad & Tobago, has implemented a program to combat climate change in Tobago’s popular, tourist-attracting Buccoo Reef. The program, named Tobago Water Colours Adaptation Project, will utilize underwater coral sculptures as a method to protect the island’s reefs. Renowned Trinidadian Carnival artist Peter Minshall, who designed the opening awards ceremonies for the 1996 Atlanta Olympics and the 2002 Salt Lake City Winter Olympics, is creating two Carnival-themed underwater sculptures for the program. A larger project is scheduled, in which Minshall will install a complete band of Carnival sculptures in Buccoo Reef. This 17-room boutique hotel is offering 20 percent off regular rates through December 31, 2016. The discounted rates start at $105 per night for double occupancy including taxes, continental breakfast and Wi-Fi; blackout dates do apply (December 22 – 28). Each room is culturally themed pertaining to Trinidad’s history and includes a fully-equipped kitchenette. Coblentz Inn is conveniently located in Port of Spain offering guests a relaxing, secluded retreat while offering access to nightlife and activities. For more information, visit http://www.coblentzinn.com/. The 94-room Kapok Hotel is offering guests 50 percent off rates starting at $115 per night based on double occupancy, valid for travel from September 1 - November 30, 2016. Kapok Hotel is adjacent to the historic Queen’s Park Savannah, home to Trinidad’s famous Carnival and is close all major attractions. To book, visit http://www.kapokhotel.com or call (868) 622-5765 and use promo code FALLDEAL. A family-run eco-resort featuring 15 lodges, Castara Retreats sits on two acres of lush tropical garden overlooking the Bay of Castara and two sandy beaches. From now - December 20, 2016, guests can save 10 percent on stays of six nights or more in the Firefly Studio. 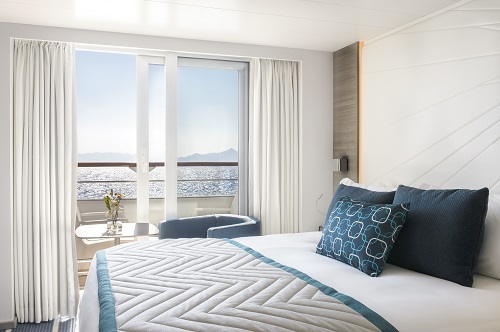 The discounted rates start at $114 per night and are inclusive of all taxes and a complimentary cocktail upon arrival at the pavilion restaurant overlooking Castara Bay, based on double occupancy. 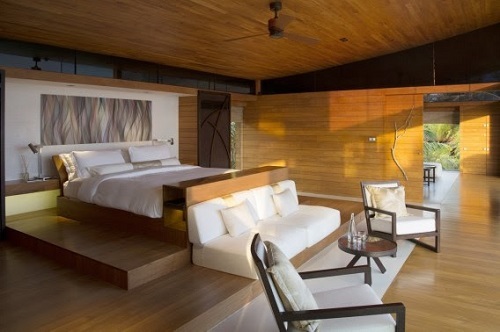 For more information, visit http://www.castararetreats.com. From now - November 30, 2016, guests can save more than 20 percent on stays in Apartment 213 at Crown Point Hotel. With rates starting at $100 per night, apartment 213 is a one bedroom self-contained apartment on the compound of Crown Point Hotel. 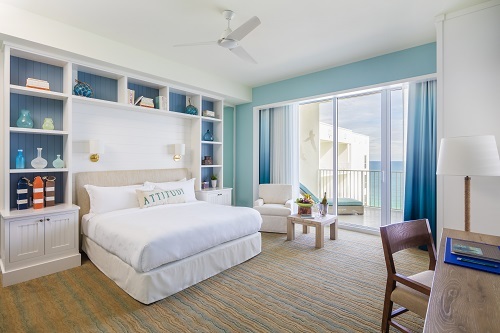 Guest amenities include use of the pool, Store Bay beach and access to the hotel’s restaurant and bar. The apartment comes fully equipped with all linens, towels, utensils, Wi-Fi and cable TV, sleeping four people comfortably. From now - November 30, 2016, guests can save 20 percent on stays in Condo 29B on Tobago Plantations starting at $100 per night. Condo 29B is a one bedroom studio penthouse located in the compound of Magdalena Grand Beach & Golf Resort. The studio is on the second level with a balcony overlooking the plantation and golf course. The condo is fully equipped with Wi-Fi, cable TV, linens and full kitchen and includes use of the pools. Head to Frenchman’s Reef & Morning Star Beach Resort for the ultimate US Virgin Island hotel experience—and an exciting new travel package! 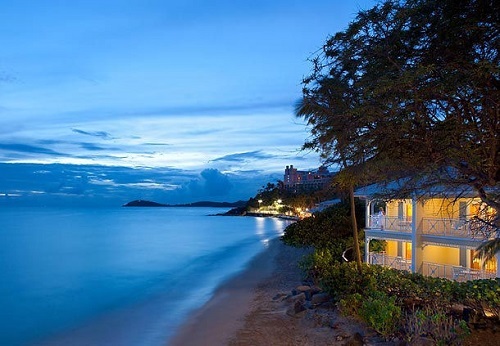 Located atop a dramatic bluff with sweeping views of the Charlotte Amalie Harbor and royal blue waters of the Caribbean Sea, Frenchman’s Reef offers unparalleled services and premier accommodations ideal for every type of traveler—including you! 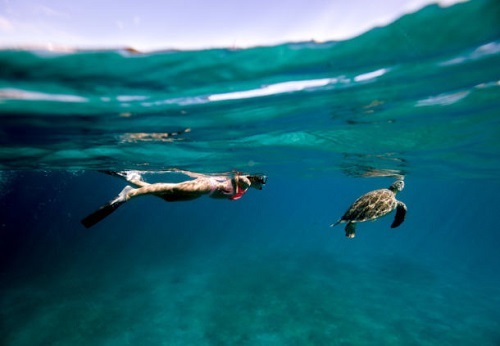 Frenchman’s Reef is the perfect jumping off point for all St. Thomas excursions. - Sample new menus from the resort’s five dining options, including Coco Joe’s, which sits directly on the private Morning Star Beach. The iconic resort recently launched the Under The Sea family travel package, a mix of active and educational adventures for the whole family. The package is only available through December 19th, so make your reservations soon! To book or get more info, contact 1(800) 228-9290 or visit www.frenchmansreefmarriott.com and use promo code: ZJL. Our tech is here to stay, and so is the need to digitally detox every once in a while! Escape from your screens, immerse yourself in tranquil environments and connect with nature and locals. And we think the best places to take a digital detox are the tropical destinations of Montserrat, Trinidad & Tobago, and Costa Rica. It’s time to live in the moment and take a vacation from reality! Known for its serenity and lack of mega-resorts, Montserrat makes it easy to detox, because wi-fi availability is limited once away you’re away from the hotels. So instead of checking email, relax and head to Oriole Walkway Trail where you’ll fall in love with the giant trees, exotic plants and birds. 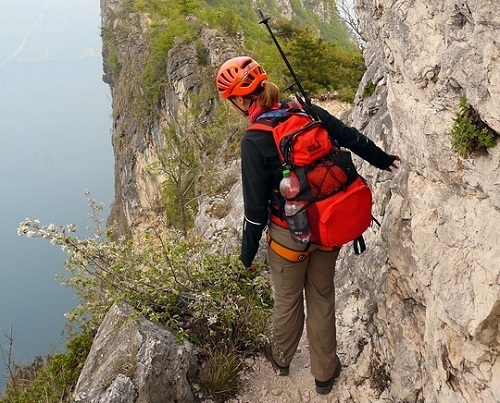 This hike is guaranteed to make you feel closer to nature! To go further from civilization (and miles from cell phone reception) visit the exclusion zone where you can explore the island’s former capital city and witness a city frozen in time. The sister-island to Trinidad, Tobago, is another great location for getting your digital detox on. 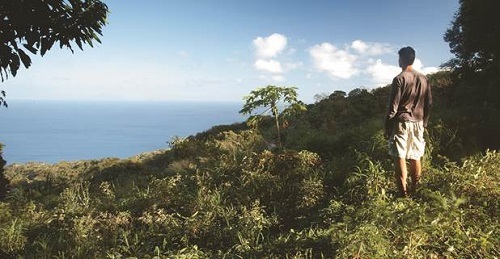 With unspoiled beaches, breathtaking waterfalls and friendly locals, Tobago’s off-the-grid personality allows visitors to experience natural beauty and vibrant culture. Some of the best places to disconnect are Tobago Cocoa Estate where you can see how cocoa pods are turned into chocolate bars, and Argyle Waterfall, the largest waterfall on the island. These two are conveniently located just minutes apart, so it’s an easy-peasy trip! 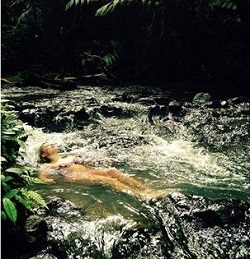 Digital detoxing is best done while detoxing the body, which is why Costa Rica’s hot springs are the perfect spot for completely ridding the mind and body of daily toxins. Immersing in hot springs has the added benefits of cutting stress, alleviating sore muscles, improving blood circulation and enhancing the skin with its exfoliating effects. 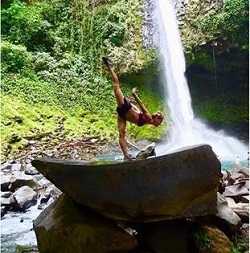 For visitors who want the full experience, a world-class yoga retreat can be found in the heart of the rainforest and many spas are scattered throughout the country featuring unique treatments like coffee exfoliations, rainforest aromatherapy, volcanic mud wraps and chocolate indulgence massages with an indigenous cacao scrub. We’re feeling detoxed just reading about it! Vote for Poshbrood in Red Tricycle’s Totally Awesome Awards! We’re so excited to announce that Poshbrood is a top-three finalist in the Top Family Travel Blogs category in Red Tricycle’s Totally Awesome Awards. WOW!! If you’re not familiar with Red Tricycle, the site fuels the parenting universe with daily inspiration for family fun. Just like us, their mission is to help every parent feel like a rock star by inspiring them to do fun things with their kids. Voting runs until September 30th and the finalist with the most votes will be the winner. We know you love Posh, and we need your votes! Find out more about the Totally Awesome Awards here, and vote for Poshbrood here! This post is sponsored by Havenly. 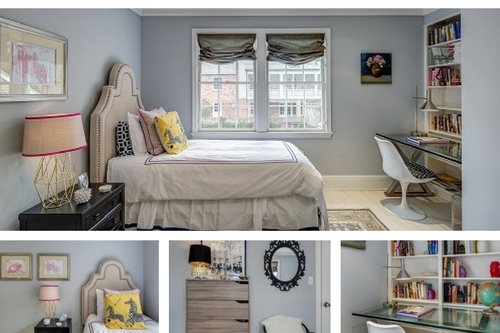 You might remember Havenly from my Home Office Eyesore to Gorgeous Guest Suite adventure earlier this year. Now the design site that helps your home go from disaster to perfection in four easy steps has made redecorating even more fun! (If that’s even possible!) They launched their new app for iOS 10 yesterday, and I’m obsessed! Whether looking for furniture recommendations to complement a modern living room or advice on the trendiest floral prints, Havenly’s team of real-life experts understands the challenges you face when designing a room from beginning to end. The Design Advice Service is the big new feature, and I love it! Anyone who downloads the app can chat with a designer for free—but it’s only free for a limited time. Use the app to get the support you need to bring your dream space to life. So now you can create the perfect room redesign, starting from $79 per room, right from your phone. No more excuses! Design Quickie: Chat with a professional to get answers to any of your individual design questions and purchase recommended products directly from your messaging feed. 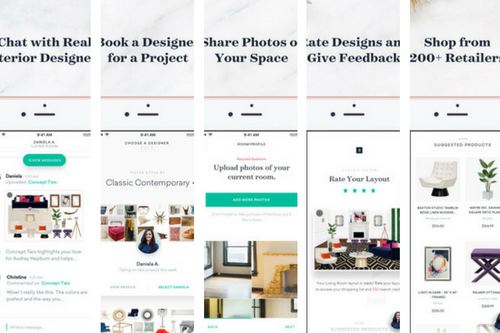 Effortless Room Profiles: Batch-upload photos of your space using your camera phone and share inspiration with your designer to kick off your redesign. Mobile Messaging: Connect with your designer on-the-go. View design concepts, layouts, and suggested products instantly with rich notifications, a new feature on iOS 10. 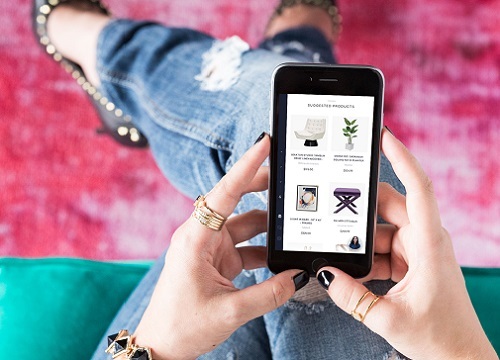 One-Stop Shopping: Refine your shopping list with your designer, then add your favorites to the cart. Checkout with products from 100+ vendors in one place. Download it here….and thank us later!! Need some inspiration? Catch up with Havenly on Instagram, Facebook, Twitter and—of course!—Pinterest! Fun with fashion! 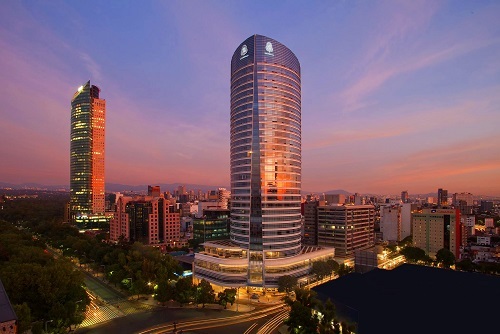 Fashion is on the itinerary at the St. Regis Mexico City... The hotel is offering the opportunity to visit, discover and shop at a selection of Mexico City’s top independent designer boutiques and stores with your very own Cultural Curator. If you just can’t get enough fashion, this is the weekend trip you’ve been dreaming of. You’ll get to explore the city’s top emerging fashion designers, jewelers and homeware shops with a pro! 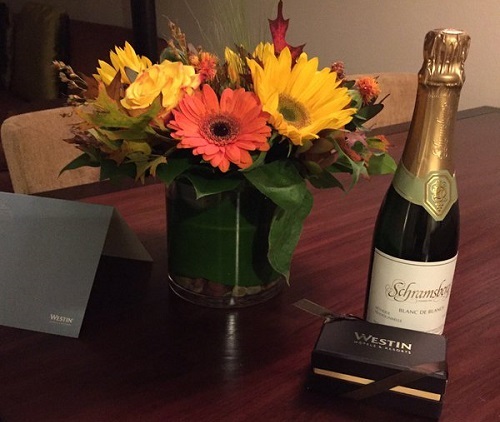 Thanks to Christina Montoya Fiedler for sharing her awesome getaway experience at the Westin Verasa Napa! She and her husband were guests at the hotel for their ten-year anniversary and loved everything about the property. Click over to Poshbrood Destinations to read all about their stay! Where do you go when you’ve been everywhere in Europe? Finding history and beauty isn’t exactly difficult, but there are some off-the-beaten-path locales you just don’t want to miss! The Rhone-Alpes area of France is most famous for the Alpine ski areas, but intrepid travelers who want to explore should schedule a vist to Annecy. 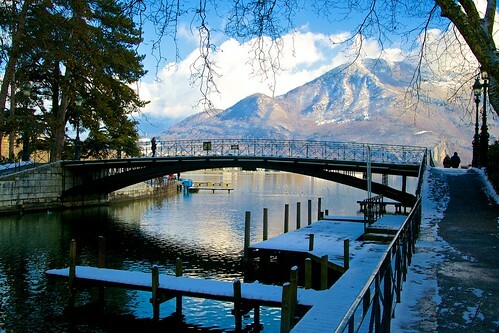 Annecy, the largest city in region, sits on the northern tip of a the beautiful Lake Annecy. There’s no shortage of things to do from water sports, shopping and beaches to restuarants and so much more! Culture and heritage play a big role in the city with castles, forts, basilacas and museums all ready to be explored. 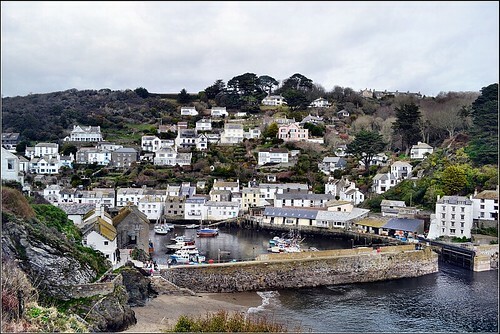 Polperro is a quaint Cornish fishing village that has turned into a cozy tourist area. Along the coast from Looe, the village is full of character and color. With a long history of smuggling, the village has a bit of an exciting side too! There are plenty of places to stay and visit, so you may end up not wanting to leave! 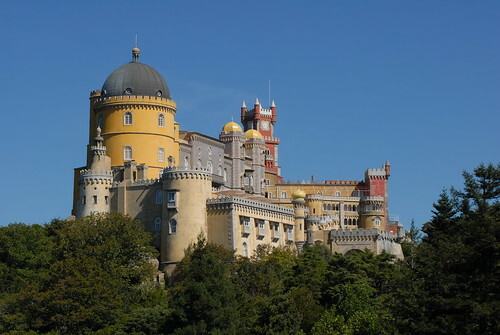 A popular day trip from Lisbon, Sintra was a refuge for the Portuguese upper class. Although the town is small, it’s host to incredible homes, historic monuments and a Gothic-styled National Palace. You can the train or tourist bus for a quick visit, but there is enough there to keep you busy for a longer stay. Close to both Imperia and Genoa, Dolceacqua is right on the Italian border with France. 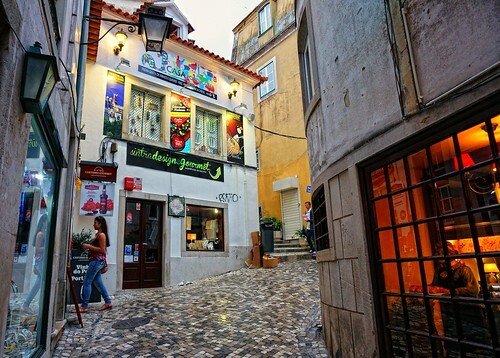 Cobblestone pedestrian walkways pass by old stone houses, restaurants that sell fresh, simple food and shops where you can buy high quality olives and olive oil. The village boasts a castle and ancient walls that were built to protect from invaders. The castle is the main attraction, so most only visit for the day, but for those who want to get a real taste of village life there is an option to rent a farm house or villa. 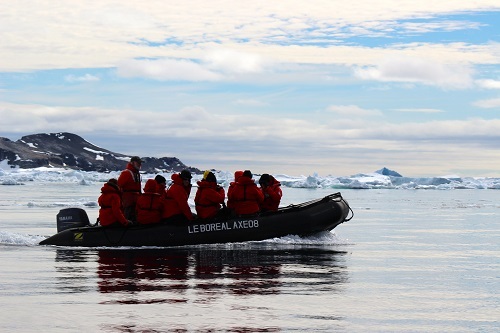 Luxury tour operator Abercrombie & Kent is offering an exclusive family travel deal for those looking to book the ultimate holiday adventure to Antarctica. 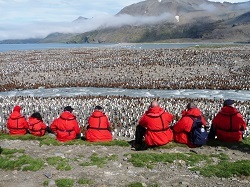 For a limited time, guests can book the December 13 departure of Antarctica, South Georgia & the Falkland Islands and save 25% on suites (Cabin Categories 4 & 5). Additionally, the first child saves 50% and the second child sails completely FREE. 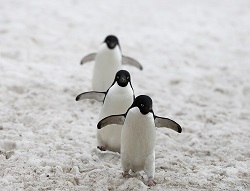 The 15-night itinerary offers a luxurious, panoramic expedition across the Southern Ocean, stopping at wildlife-rich South Georgia, the unspoiled Falklands and the vast, wild shores of Antarctica. Why is this journey perfect for families? A&K’s Young Explorers Program, of course! Designed for ages 7-18, these programs include dedicated Young Explorer’s Guides leading groups of kids and teens in engaging activities like squid dissection, Japanese fish printing and deep sea presentations with a marine biologist. The journey takes travelers deep into the polar latitudes, led by a knowledgeable and captivating Expedition Team to experience a truly wild place that most never see in their lifetime. This deal is perfect for adventurous families looking for a remarkable destination holiday to end 2016! 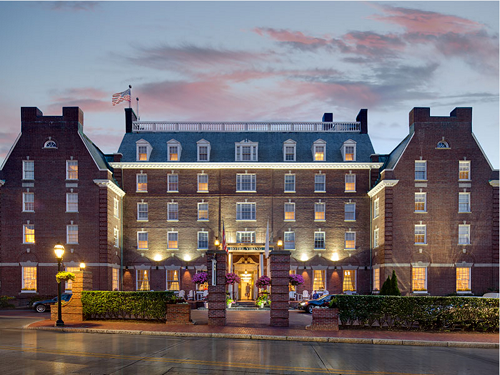 Newport, RI is by far one of the best summer destinations on the east coast, and with two new attractions you’ll be sliding on your boat shoes and your best fake pearl set and heading on over! One of my favorite hotels (full disclosure: I was married here) The Hotel Viking, now has a great kid’s club! During busy seasons pop-up activities are happening, including a recent Pokemon game night when this writer was visiting. Another bonus? Kids collect a cute tote bag upon arrival with a coloring book, water bottle and cute stuffed animal. Even better is your little munchkins score free breakfast in the newly renovated One Bellevue restaurant. 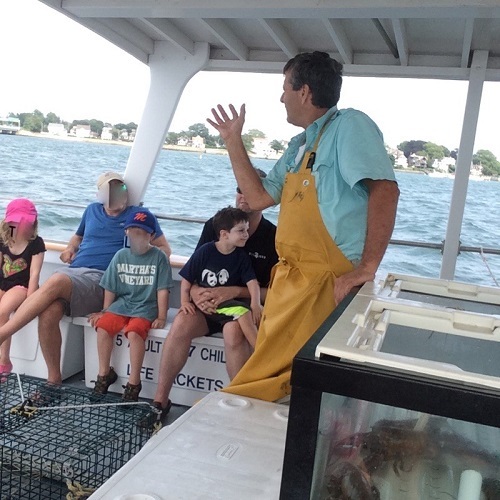 For your budding scientists, try the recently-opened Fish N’ Tales Adventure boat, a working fishing boat that departs from Bowen’s Wharf in Newport’s bustling downtown harbor. 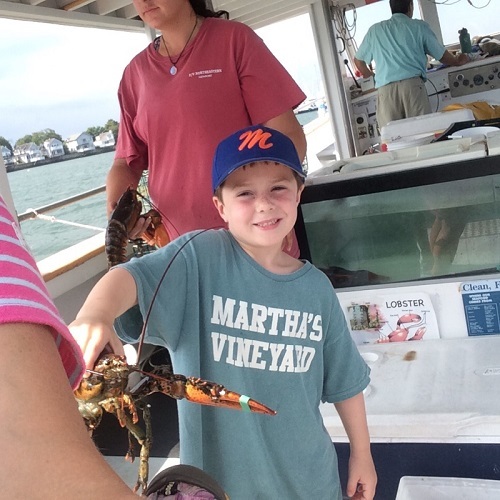 The boat has a touch tank in the middle with lobsters, and my boys had a blast helping the captain haul up his traps and peer inside, screaming with delight when they got to place colorful bands on the lobster’s claw. They learn terms such as “crusher claw and pincher claw,” and get valuable information from an onboard fish and wildlife expert. I recommend ages four and up for this ride, as I brought my newborn in a sling, and the sea was rough that day. Now is a fantabulous time for a visit to the UK! There is a promising dollar exchange value, and with the help of the great staff at St Martins Lane and their new Cool Kids package, we’ve found tons of exciting things to do. The Cool Kids package really is cool! If you’ve ever been desperate to figure out what the kids can do (that they’ll actually enjoy!) at your destination, this is the answer. 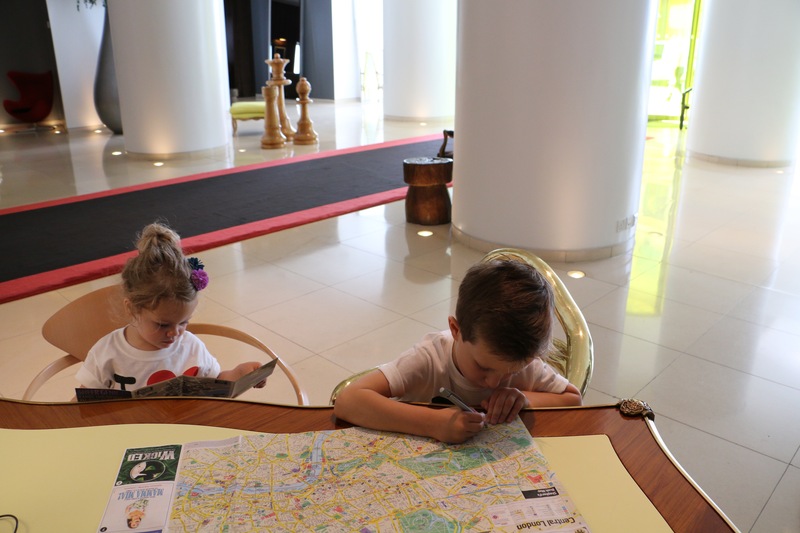 Kids get the opportunity to sit with the hotel’s concierge and discuss what they want to do and see in London based on what’s available. This lets little ones develop their own itineraries to fit their desires with the assistance of someone who is knowledgeable about the area. 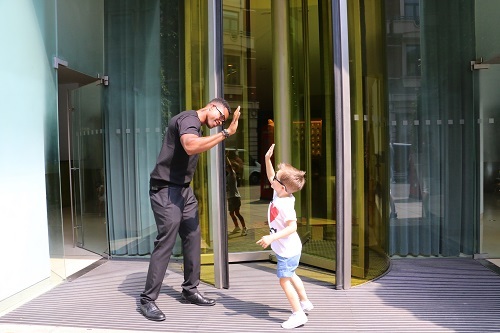 St Martins Lane is all about flipping the script on family travel! —a planning sit-down with the hotel concierge. What’s there do to do? Besides the usual beautiful parks and museums, there are a few activities St. Martins Lane staff recommends for the younger crowd. - Visit one of the many City Farms of Hackney City Farm, Kentish Town City Farm, Spital Fields City Farm or Vaux Hall City Farm. - Get active with GoApe at Battersea Park or Jurassic Falls Adventure Golf. And, of course, you can’t visit London without a little bit of Harry. See the sold-out Harry Potter and the Cursed Child, go on a private, guided Harry Potter tour or a group walking tour, visit the outside London movie location sets, enjoy the Harry Potter Warner Brothers Studio Tour or the new Harry Potter-inspired Escape Room. 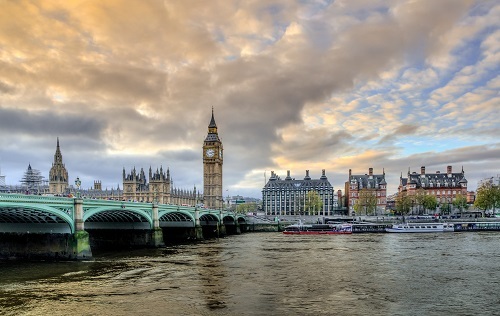 If you’re headed to London soon, with so much to do, share in the comments below what YOU’LL choosing! Staying in shape while vacationing with kids is as easy as doing push ups in your hotel room or taking advantage of the free use of the gym. But what if you’re always on the road? What if your itinerary doesn’t leave room for exercise at the gym? Well, you can always do workouts on the road (literally! ), and the kids can join in. 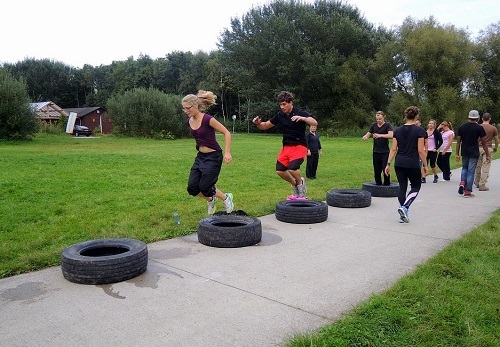 Do a circuit that doesn’t require equipment wherever suitable, such as a park or a basketball court. Push-ups, dips, alternating lunges, squats and sit-ups will give you a good body workout without requiring any equipment while the kids are entertained and active in the park. But wouldn’t it be better if your fitness routine didn’t feel like you’re still doing it at home? You’re supposed to be on vacation, so plan your itinerary with a workout integrated, and you can make sure your kids enjoy it as well! Running is good, especially when you do it with your loved ones. But you can do it better with trail running. Not only does it burn more calories, but also works out your entire body for a burst of energy and steady level of fitness. 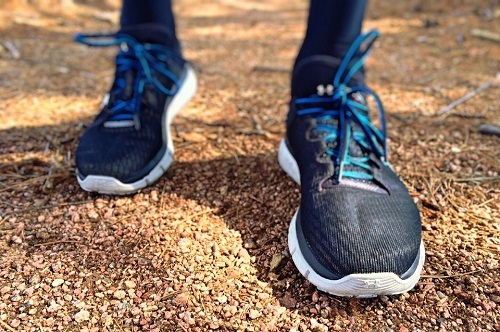 What makes trail running more challenging is the textured, uneven terrain that you need to go through. You’re not just pounding pavement. You need to achieve balance, find your footing and survive the incline changes. So if you want to run with more intensity, try trail running. What is even better is that you can trail run while trekking to a campsite or climbing a mountain! Note: Just make sure you all run at the same tempo and your kids can easily catch up. Instead of hitting the gym in your hotel, why not go out and take sailing or rowing classes? Your kids will love it for sure! This is one way to enjoy the water get your workout in. Sailing can burn around 200 calories, while helping your upper body build agility and muscular endurance. Rowing, on the other hand, works your legs and core, so you burn around 800 calories/hour. 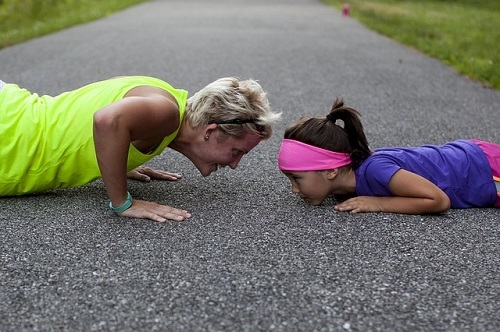 Let your kids find a nice spot by the pool or the park, and perform CrossFit on-the-road workouts with them. These activities don’t require equipment, so they are perfect for vacation. An entire circuit is divided into two workout rounds that involve push-ups, sit-ups, squats, burpees, bench jumps and lunges. With this workout routine, you’ll stay fit even when you move from one place to another on a daily basis. If you only have a few minutes to spare before you need to join a tour or excursion with your children, find a volleyball or basketball court nearby and do some High Intensity Interval Training (HIIT). This involves sprinting, lateral hops and side shuffles, all done throughout the entire court. Can you imagine how many buckets of sweat you’ll be drowing in when you jump over and back an entire court line? 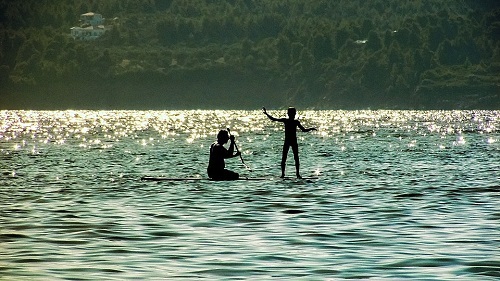 Paddleboarding already gives your body a good workout, but take it up a notch with stand-up paddleboarding. This outdoor activity focuses on core stability and control. Although it’s usually done across flat, calm waters, staying balanced on top of the board will require all your muscles to work, giving you a good workout in the process. High-knees running is guaranteed to get your heart rate going and improve your running form at the same time. It’s similar with running, except with exaggerated knee lifts. When added to a fitness routine, you’ll get the boost energy needed to complete your workout. Get a full-body exercise wherever there’s room for your entire body to stretch with mountain climbers. Your kids will totally love it! This plyometric exercise strengthens your cardiovascular system and multiple muscle groups. You’ll also burn belly fat and strengthen your abs. Looking to do a full cardio without the need for equipment or to visit a gym? Choose the right spot in your holiday destination to do long jumps, push-ups, sumo squats, burpees, mountain climbers and bicycle crunches. A variation of the regular burpees, side burpees uses the same idea, except you jump your feet laterally out to the side. The combination of squats, jumps and plank positions will definitely help you stay fit while on the road. Just keep on moving with your kids! How about adding a flying experience into your exercise routine? 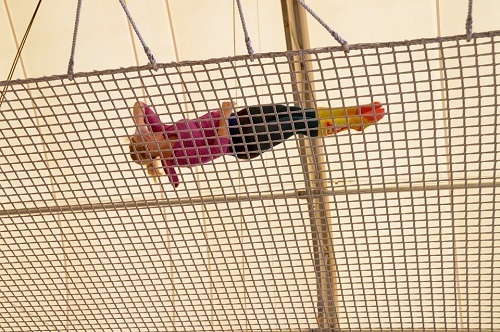 A private lesson in trapeze will give your body a full workout, while inducing endorphins that help you burn 500 calories/hour! With these workouts on the road, you’ll avoid gaining weight during a vacation, and you’ll definitely keep the kids entertained and active! Our guest poster this week is Agness She’s a world traveler and healthy lifestyle freak, currently based in China helping other find the perfect English teaching jobs. She stays lean and healthy when travelling to different countries across the world. She writes travel stories on Etramping and shares healthy international tips and recipes on Run Agness Run. Check her out if you want to stay happy and healthy when hitting the road and still enjoying different local cuisines!